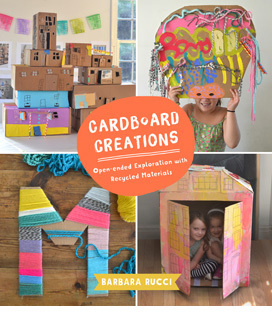 I love a simple craft that is completely child-led. 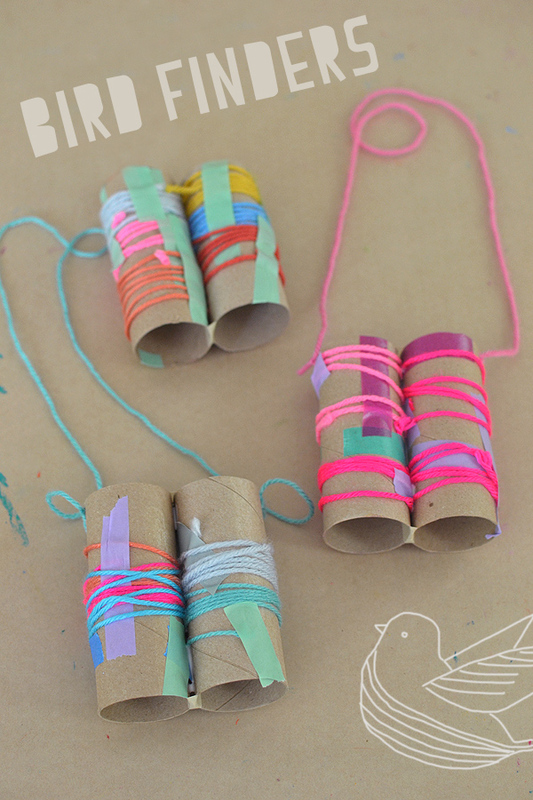 These bird binoculars were such a hit with the kids during our “BIRDS & BUGS” week at art camp. 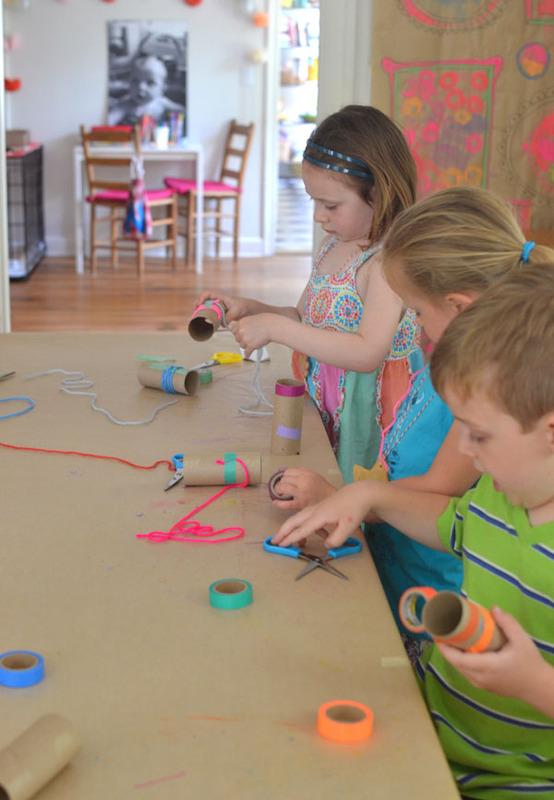 They loved being able to pick out their own color combinations, wrap yarn and cut tape (two skills that take lots of concentration and make little ones feel very proud), and glue their two parts together for an instant toy! ~ Start by taping down one end of the yarn. 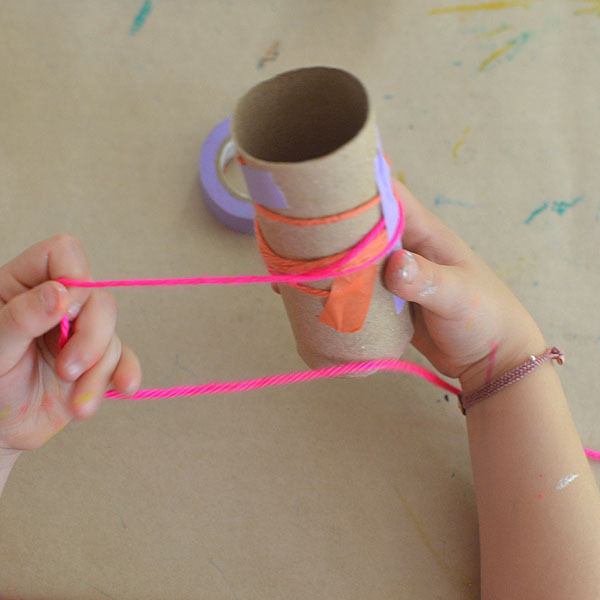 Then wrap the yarn around the TP roll and tape the other end. 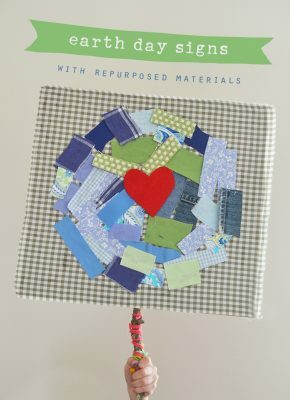 Some kids wanted to only wrap one piece, other kids wanted to wrap three or four. It was completely their choice. 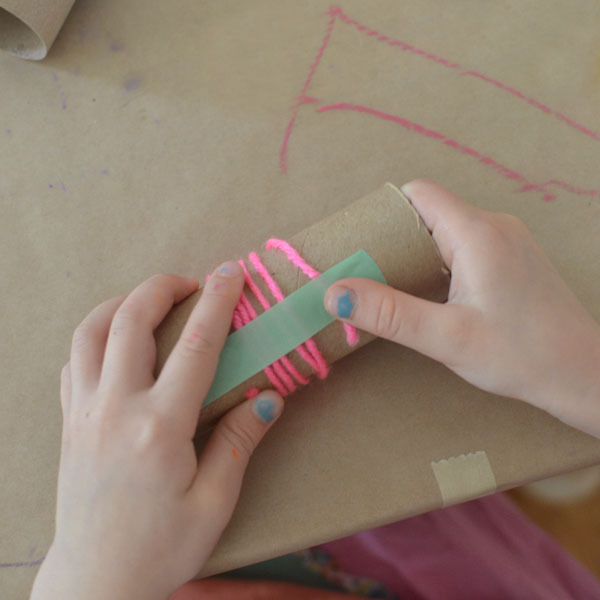 ~ When they are finished wrapping and taping, hand them the glue and let them squeeze one line down the middle of one of the TP rolls. 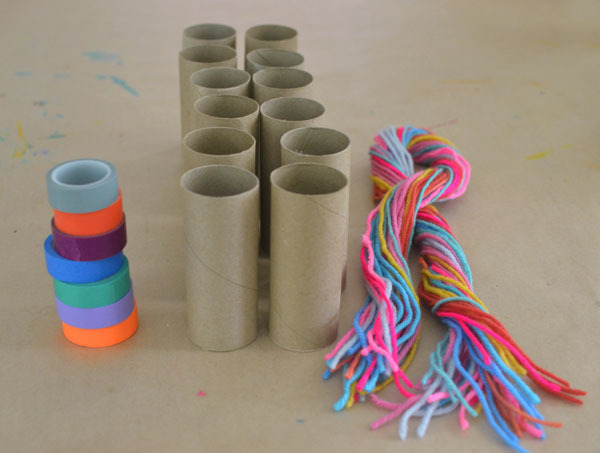 We then squeezed the two rolls together, and used a long piece of masking tape to run all the way inside and around the two rolls to keep them in place. 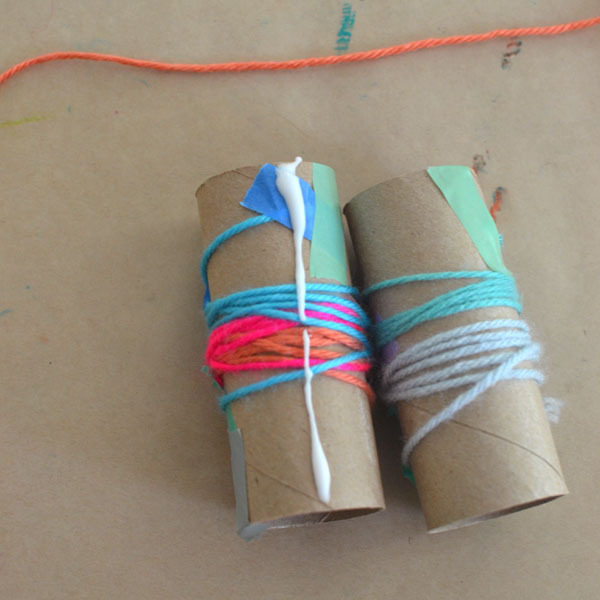 ~ Punch two holes on either side of the rolls. 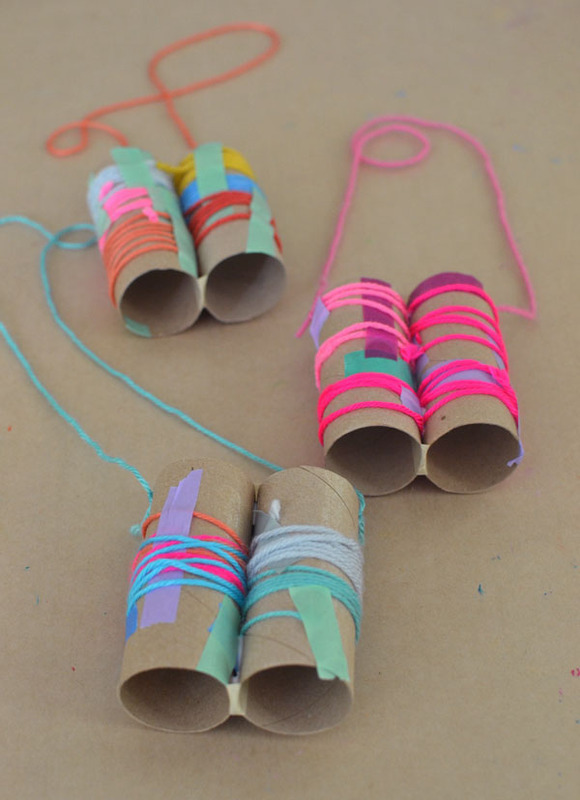 Tie a long piece of yarn through the holes so the binoculars go over their heads. They wore them proudly around their necks for the rest of the day, spotting lots of “birds” (but mostly our good-natured dog, chasing her around and around). 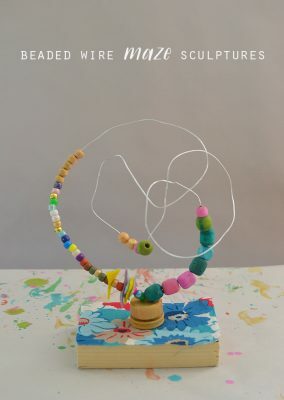 Click over to see the bird houses the kids made, and also this cute bird garland and these spectacular bird nests! 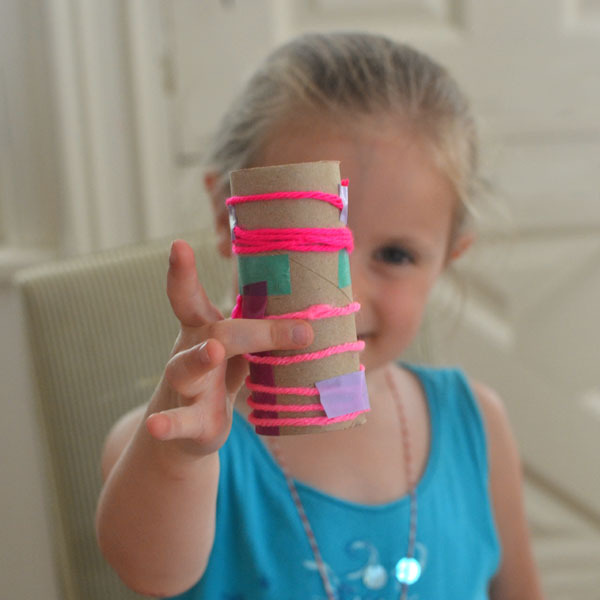 Making these kinds of binoculars with kids is great. 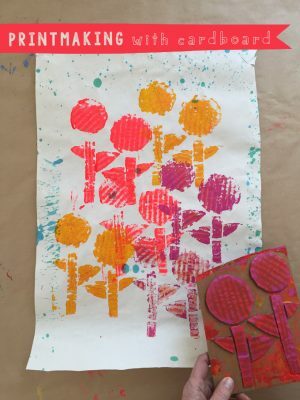 I’ve found several more designs that I’ve collected in a post on my site too.